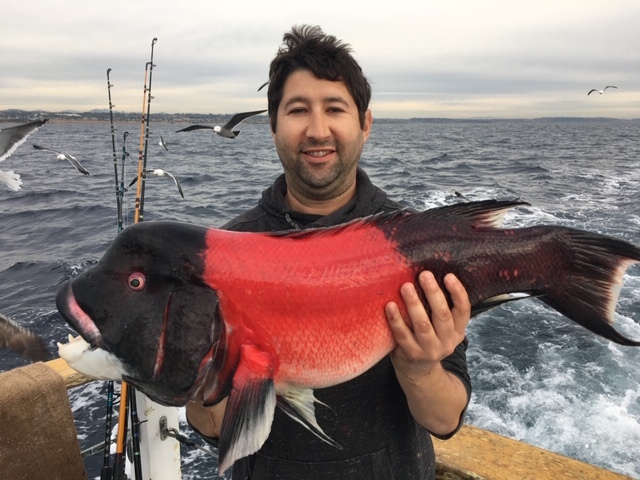 Captain David Yumori aboard the Chubasco2's half day trip had outstanding fishing again today returning with 170 rock fish, 38 white fish, 1 sheephead and a sand bass. 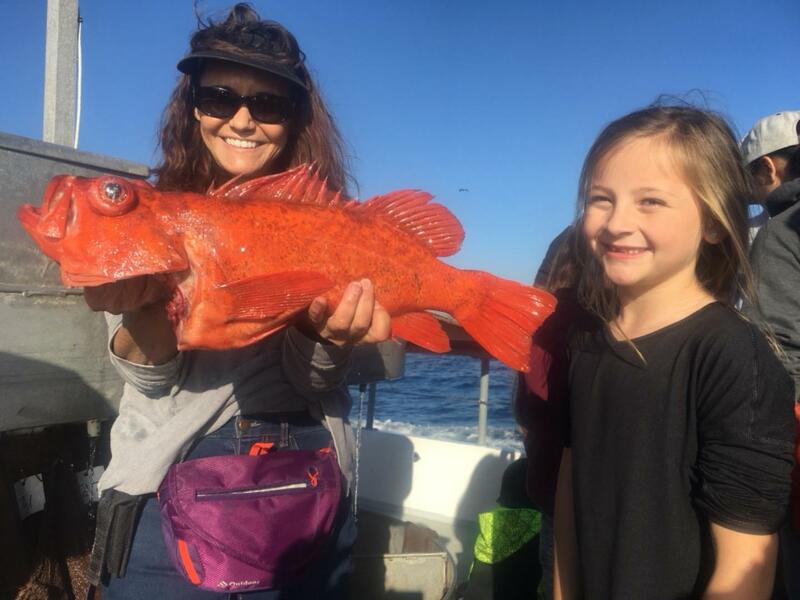 Pictured is Vicki and Emily with a gorgeous red rockcod. The Sea Center offers daily half day trips aboard the Chubasco2, click here for the schedule. 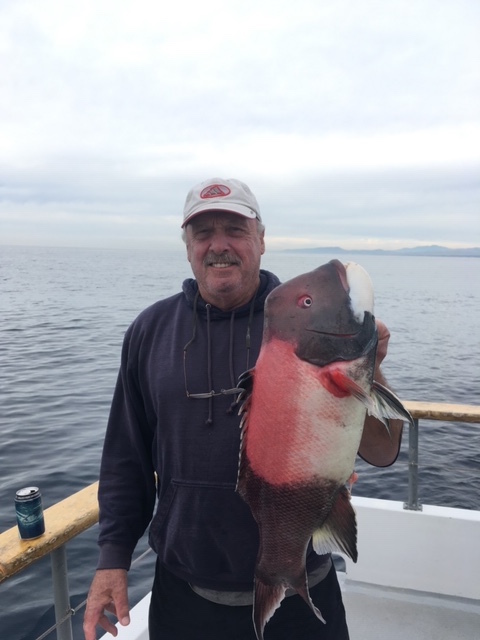 Captain Joe brought the Sea Star home from a three quarter day charter with 40 red rockcod, 45 whitefish, 4 sheephead and a sand bass for his 13 anglers.